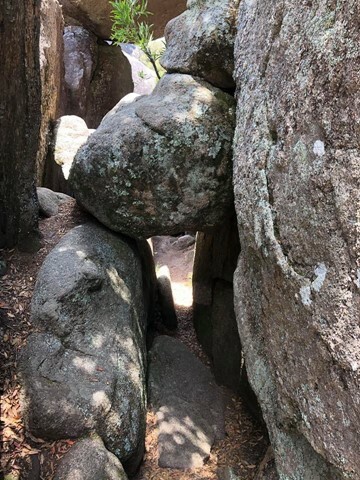 Cathedral Rock National Park is the perfect place for a relaxing day trip or camping holiday. 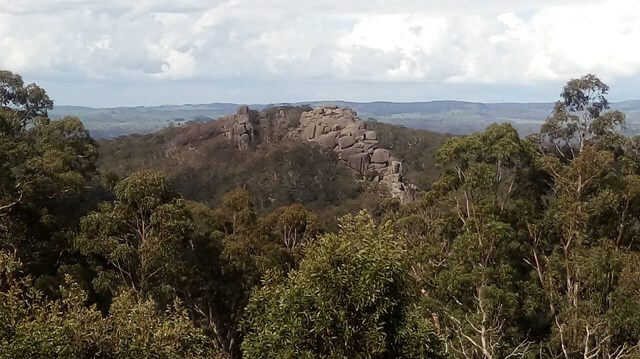 Highlights of the park are the Cathedral Rock Track, Round Mountain, Woolpack Rocks, Warrigal Track and Barokee to Native Dog Creek. Camping is available at Barokee and Native Dog. The Barokee campground is the starting point for this walk. It is accessed via a rather rough unsealed road off the B78. 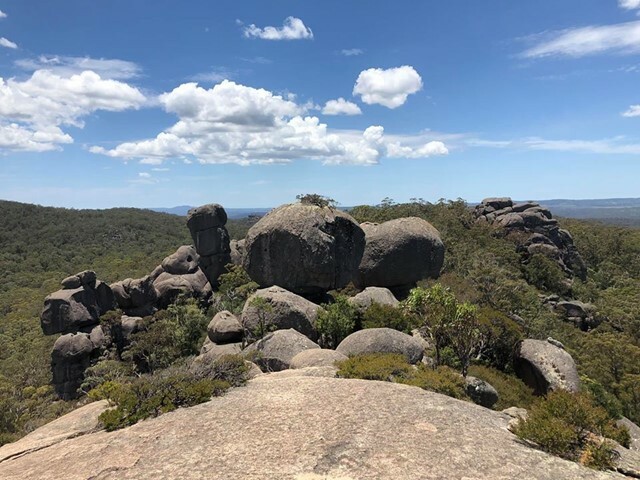 Cathedral Rock track is an exciting and challenging walk, near to Barokee campground and Round Mountain, offering scenic views across the New England Tablelands from the summit. 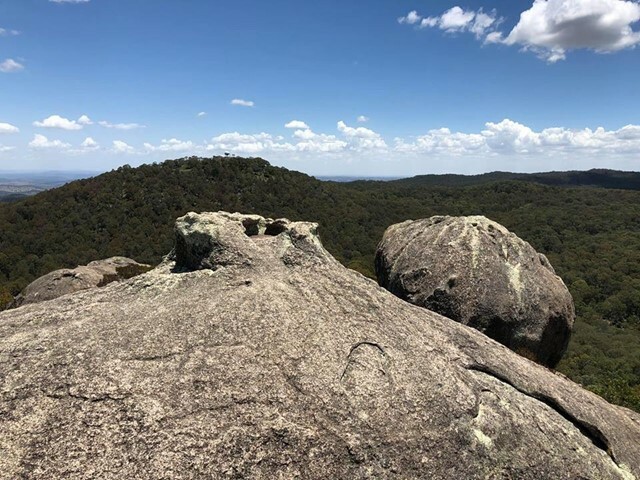 Hike up Cathedral Rock to sit on a natural throne perched on 100m of stacked boulders and survey your kingdom. 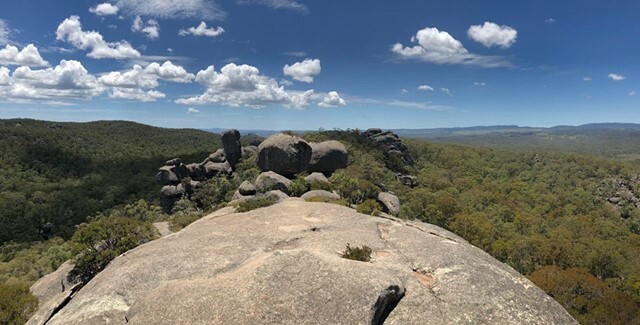 The nearby Round Mountain is the highest point of the New England Tablelands, although only by a royal whisker at 1579m. Round Mountain is the highest point of the New England Tablelands, at 1579m. 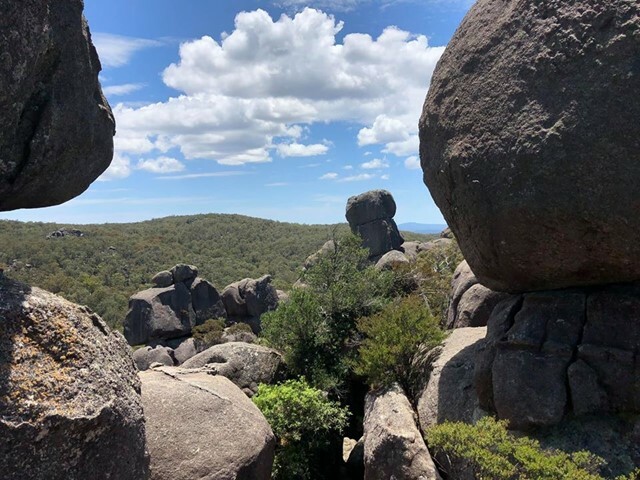 However, the summit is occupied by Airservices Australia as an Air Navigation Facility, but this does not stop you walking around the perimeter and enjoying the views.